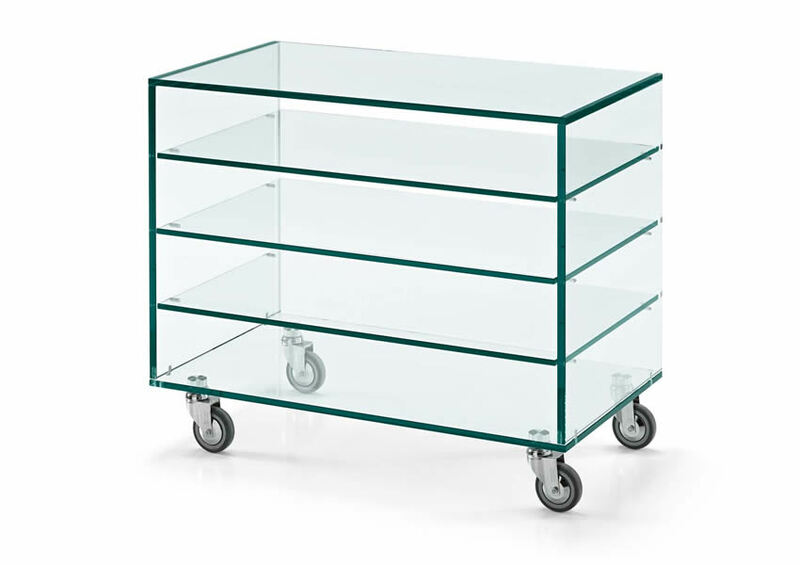 Unit with various shelves available in 2 different widths. Also available with revolving TV shelf. 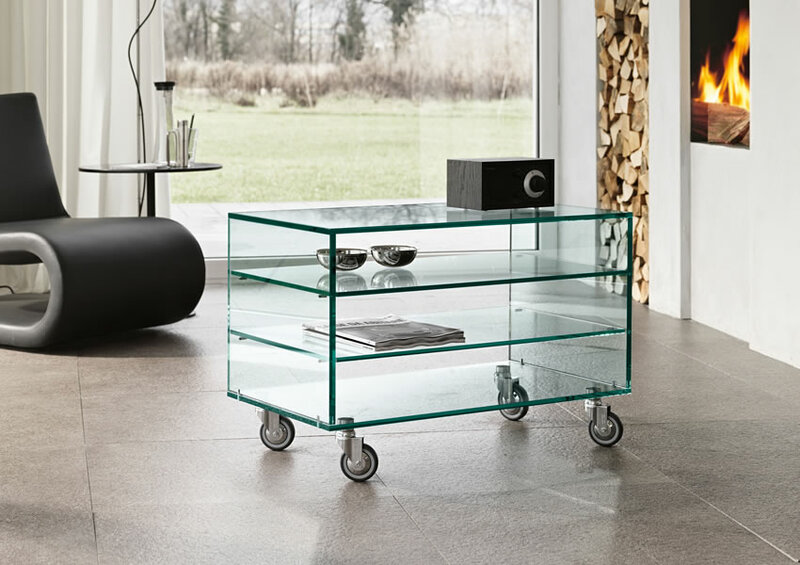 Drawer finishing of Grattacielo fix cm 58 see page 409. 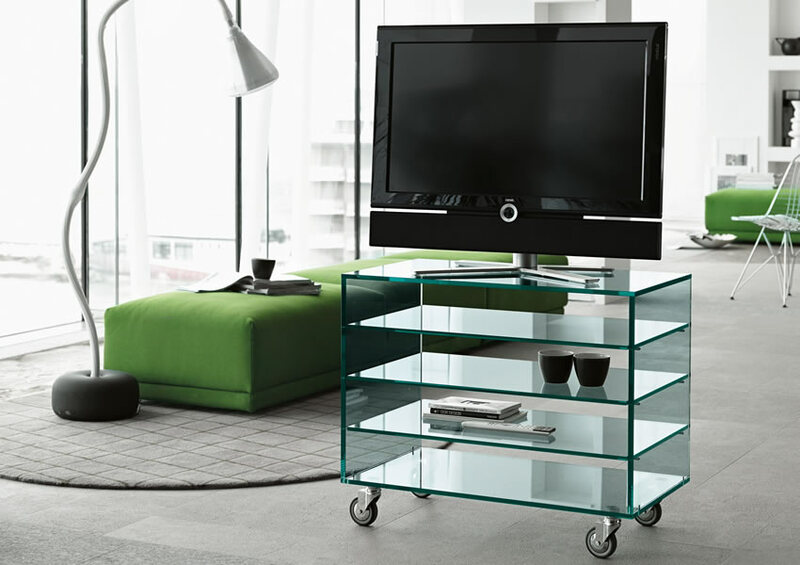 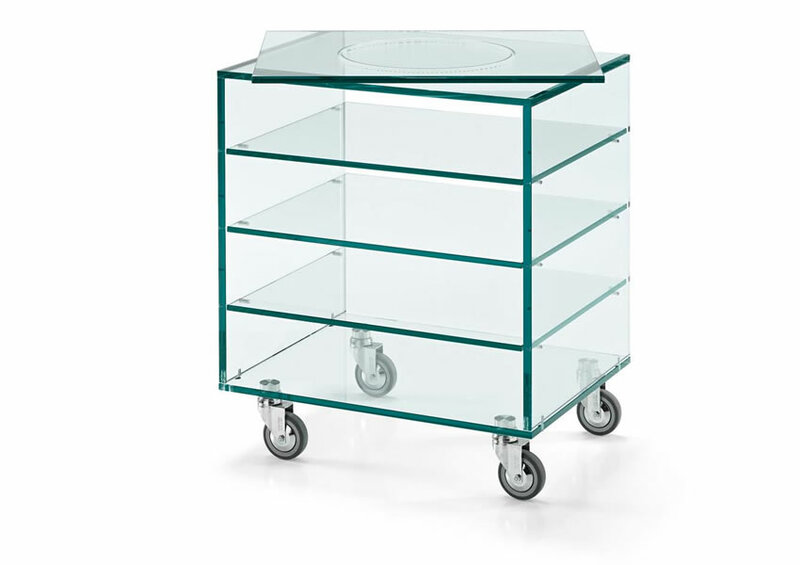 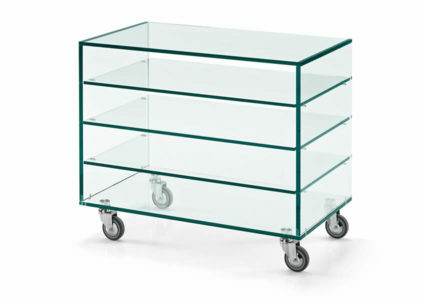 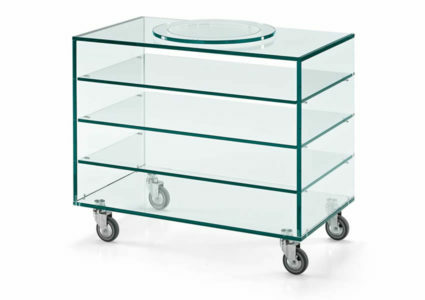 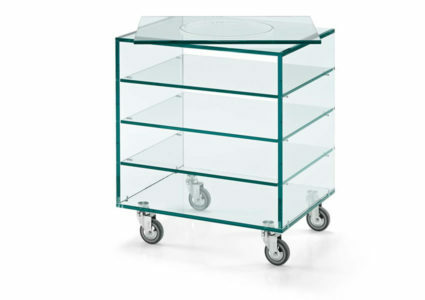 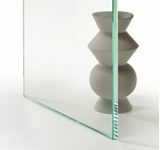 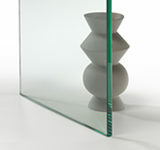 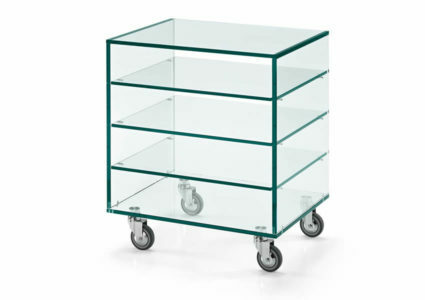 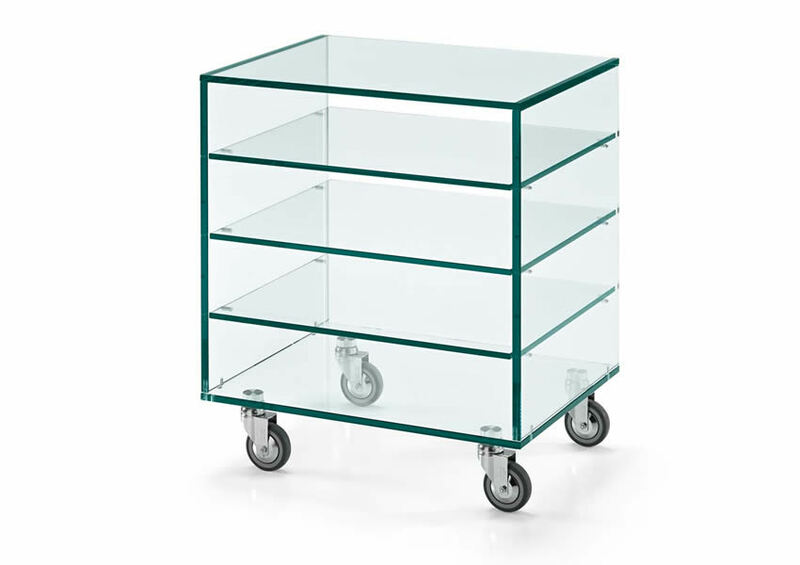 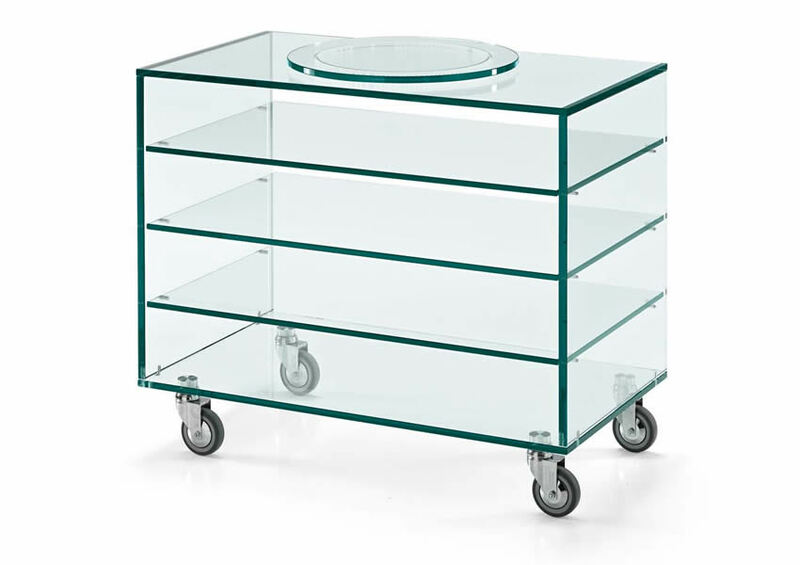 Float glass elements, superposition on a base, equipped with rubber castors.